In a letter to U.S. Vice President Joe Biden, the Entertainment Consumers Association and the International Game Developers Association make their point clear: "Media does not cause violence." Because no conversation about violence is complete without a healthy dose of media scapegoating, the Entertainment Consumers Association and the International Game Developers Association have joined the chorus of agencies contributing statistics, opinions and offers of more of both to U.S. Vice President Joe Biden, who is heading a new task force aimed at coming up with solutions to the problem of gun violence. Compared to the letter sent earlier this week by the Electronic Merchants Association, the ECA letter is short and sweet. After a brief reaffirmation of the First Amendment and a description of the association's mandate, ECA Vice President and General Cousel Jennifer Mercurio got to the point in a hurry. "Studies show that media does not cause violence," she wrote. "Christopher J. Ferguson, Chair of Texas A&M International University's Department of Psychology & Communication, has shown through his work that there's no link between violent video games and real world violence like mass shooting, bullying or youth aggression. Others' work, including federally funded studies, all agree." "While video game sales have increased, violent crime has been steadily decreasing according to FBI statistics. In 2011, video game sales increased to over $27 billion dollars and violent crimes nationwide decreased 3.8% from 2010. Since 2002, violent crime has decreased 15.5%. This is all during the time when games like Call of Duty and Halo have dominated sales," she continued. "At the same time, federal courts - including the Supreme Court - have routinely held that government regulation of media, including video games, is unconstitutional. Funding more studies - or passing laws that then get fought out in courts - costs taxpayers millions of dollars." 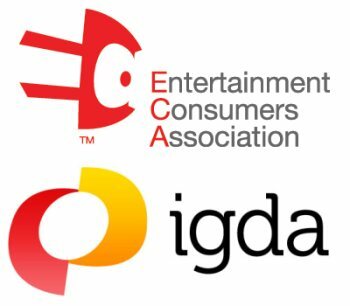 In a separate letter, the International Game Developers Association said that "unlike some industry groups, [it] does not seek to impede more scientific study" about videogames and "welcomes more evidence-based research into the effects of our work to add to the large body of existing scientific literature that clearly shows no causal link between video game violence and real violence." "We ask that any new government research look at the totality of imaginary violence. Instead of simply trying to find negative effects, we ask that any new research explore the benefits of violent video games, too," IGDA Anti-Censorship and Social Issues Committee Chairman Daniel Greenberg wrote. "For example, recent research shows a steam valve effect in which violent video gameplay helps release stress and aggression before it can lead to violence. Others studies have indicated that recent declines in real world violence can be attributed in part to potentially violent people spending more time looking for thrills in video games instead of on the streets. Psychologists tell us that playing with imaginary violence is healthy and can help children master experiences of being frightened. This is beneficial and can even be life saving. We can supply links to this research and spokespersons on these issues. The IGDA supports good research and we ask for more science, not less." The Vice President's task force is expected to make its recommendations on gun control to U.S. President Barack Obama on January 15.